Destiny Leadership Academy (Abbreviated: DLA) sets people up for success. It’s a safe environment to explore and find out who you are in Christ and what call God has on your life. Destiny Leadership Academy exposes you to so much and challenges you in ways that can push you out of you comfort zone. This is a good because you start to see where your identity really lies and how much we need to depend on God for affirmation, strength and security. DLA gives you an opportunity to let go of the past and start a new life, firm in God – with the support of your DLA and One Life Church Family. DLA fast tracks your spiritual walk and the life lessons you learn, sets you up for success in your future. It opens doors and broadens your horizons. It equips you to understand what God’s plan for your life might be. The Destiny Leadership Academy has a strong pedigree and a remarkable record in leadership development. More than 500 students have passed through our training programme over the past 25 years. Today, hundreds of our past students hold positions of leadership in many sectors of society; some are captains of industry or have founded their own businesses, others have followed teaching and academic careers, while others still, have gone on to plant churches, serve communities in a greater capacity and live fruitful lives in South Africa and abroad. 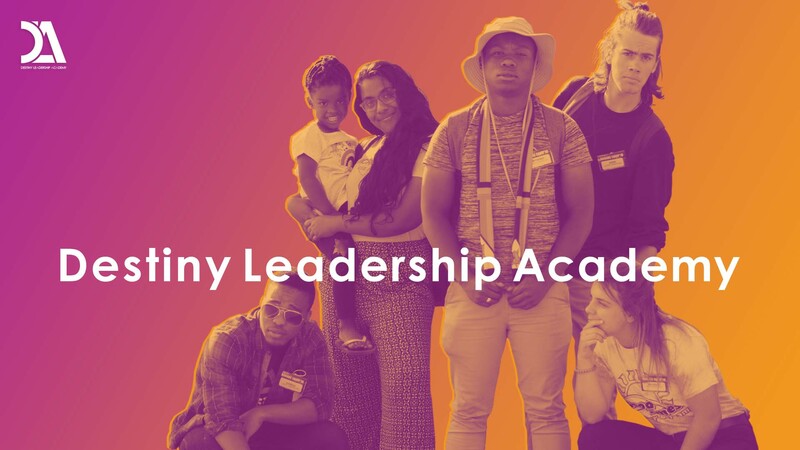 The Destiny Leadership Academy attracts a vast variety of students, coming from across South Africa as well as from Europe, Canada and North America. This Academy is designed as an intensive, one-year programme that will challenge the students emotionally, intellectually, spiritually and physically. They will be required to help the needy, go on mission trips, attend courses and lectures and develop their skill set. We believe that everyone has leadership potential. We are all required to lead ourselves, our families and other people as we follow Christ’s leadership. Destiny Leadership Academy nurtures and grows this potential in its students and aims to raise up competent and passionate leaders. We invite you to join us on a year that will transform the way you approach life. It will give you essential tools and allow you to develop the competencies you need to achieve your dreams.